Our indoor pool is open year-round with at least two and up to six lanes. There is at least one lane open for lap swimming at any given time. The pool is 25 meters long, 15 feet wide, and has a depth that ranges from 3 1/2 to 6 feet. The water temperature is kept between 84 and 85 degrees. The pool also has a chair lift to make it accessible to members with limited mobility. 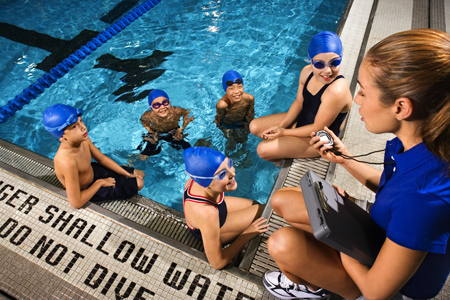 All members are required to follow all posted pool rules and adhere to the YMCA’s swim test policy for younger swimmers. Monday - Friday 5 A.M. – 9 P.M.
Saturday 7 A.M. – 6 P.M.